My first post of 2014 is a critique of this intriguing work, which I read back in the autumn, but have just got round to writing about. I have learned to grasp how everything is connected across space and time, the life of the Prussian writer Kleist with that of a Swiss author [Walser]who claims to have worked as a clerk in a brewery in Thun, the echo of a pistol shot across the Wannsee with the view from the window of the Herisau asylum [where Walser spent his final years], Walser’s long walks with my own travels, dates of birth with dates of death, happiness with misfortune, natural history and the history of our industries, that of Heimat with that of exile. On all these paths Walser has been my constant companion…the unmistakeable figure of the solitary walker just pausing to take in the surroundings. In these words from his essay on the Swiss writer Robert Walser, the most engaging to my mind of the essays in A Place in the Country, most of W.G. Sebald’s motifs in this collection and in his other prose writings appear: a preoccupation with place and scenery, especially the rural, littoral and insular, and how history leaches into the landscape (‘everything is connected across space and time’); with being estranged or exiled from home; and with the tendency for things to be contradictory (witness all those balanced, opposed clauses in the quotation above). This collection of five essays on writers (and one about an artist, Sebald’s contemporary from the Allgau, Jan Peter Tripp) was originally published in German in 1998; it has been deftly translated into English by Sebald’s former colleague at the University of East Anglia, Jo Catling. They are not dry academic studies: they are meditations full of understated wit and artistic sympathy with the subjects – but Sebald unobtrusively provides as much insight into himself as he does the subjects. Evidently the business of writing is one from whose clutches it is by no means easy to extricate oneself, even when the activity itself has come to seem loathsome or even impossible. All six of his subjects have intertwining connections with each other and with Sebald himself: they mostly spoke a language from the ‘Alemannic’ group, which originated in parts of southern Germany, where Sebald himself grew up, Alsace, Austria and Switzerland. 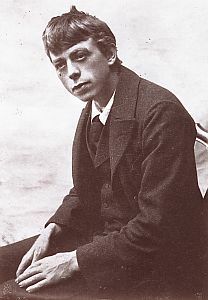 Most of these artists, like Sebald, were exiles from their homelands, either through their own choice, or involuntarily (in Walser’s case, it took the form of alienation from himself and the world, as he drifted into insanity); they tended to have unhappy love lives and a habit of solitary introspection, from which arose haunting works of literary or artistic beauty. It is the aesthetic and moral quality of these artists’ works on which Sebald focuses his attention, but not with soft-focus nostalgia or gloomy introspection: he unobtrusively brings his subjects to life, and illuminates what they mean to him. Johann Peter Hebel (1760-1826, born in Basel), subject of the first essay, was an obscure eighteenth-century author of popular almanacs, folktales and nature writings. The poet Eduard Mörike (1804-1875) lived a sequestered life in and around Stuttgart in Swabia (Württemburg). The other three writers here are Swiss; Jean-Jacques Rousseau (1712-78) came from francophone Geneva; Gottfried Keller (1819-90) and Walser (1878-1956) both wrote in German. Sebald is interested in artists associated with borders, boundaries and divides, their similarities and struggles. One could see writing as a continually self-perpetuating, compulsive act, evidence that, of all individuals afflicted by the disease of thought, the writer is perhaps the most incurable. I don’t like large-scale things, not in architecture or evolutionary leaps. I think it’s an aberration. This notion of something that is small and self-contained is for me a moral and aesthetic ideal. From Sebald’s painstaking evocation of the ‘abstruse details’ of the world Walser inhabited, ‘devoid of material possessions’ (he alludes to the ‘pencil method’ or ‘microscripts’ of Walser’s later years, described as an ‘inner emigration’) to the other writers discussed here with their preoccupation with the minutiae of their craft, this statement resonates throughout the collection. the schemes and symptoms of an order underlying the chaos of human relationships, and applying equally to the living and the dead, which lies beyond our comprehension? I recommend this volume to anyone interested in the craft of writing (and painting) and the nature of creative artists, with their mysterious capacity for conveying the healing power that comes from exploring the minute details of mundane existence in an increasingly expansionist, chaotic world. It also provides heart-warming insight into the mind of Sebald. When I peruse these essays I feel I’m in the presence of a kindly, modest but supremely intelligent artist and thinker, and his prose is a delight to read. There are really seven subjects: the six I’ve mentioned, and Sebald himself. This entry was posted in Literature, Sebald and tagged A Place in the Country, Robert Walser, WG Sebald by Simon Lavery. Bookmark the permalink. Wow, that was a quick response! 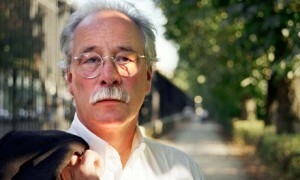 Hope you enjoy the piece – and the Sebald. The quote below really resonates with me. I just recalled coming across this in 2014, and have had more and more “run-ins” with Sebald and Walser since then! “[T]he nature of creative artists, with their mysterious capacity for conveying the healing power that comes from exploring the minute details of mundane existence in an increasingly expansionist, chaotic world. Walser seems to me one of the great voices of the 20C. Walser is a more enigmatic figure, but still interesting. Must get round to reading some more of his work, sitting reproachfully on my shelves. Meanwhile, on with Barbara Pym – a delightful summer read. That quotation is pretty powerful.